1:56 a.m., reckless/intoxicated driver, 10 block of East Water Street, Muncy. 8:17 a.m., reckless/intoxicated driver, 11100 block of North Route 15, Lewis Township. 9:21 a.m., theft, 200 block of West Fourth Street, Williamsport. 9:37 a.m., criminal mischief, 100 block of Ashler Manor Drive, Muncy Township. 10:37 a.m., theft, 2800 block of Pleasant Valley Road, Hepburn Township. 12:47 p.m., shoplifter, 200 block of William Street, Williamsport. 2:52 p.m., shoplifter, 2000 block of Lycoming Creek Road, Old Lycoming Township. 2:53 p.m., theft, 300 block of Lycoming Mall Circle, Muncy Township. 4:42 p.m., theft, 700 block of Arch Street, Williamsport. 4:43 p.m., theft, 1400 block of Memorial Avenue, Williamsport. 4:47 p.m., disturbance, 1900 block of East Third Street, Loyalsock Township. 4:52 p.m., reckless/intoxicated driver, 300 block of Westminster Drive, Loyalsock Township. 5:00 p.m., harassment, 100 block of West Fourth Street, Williamsport. 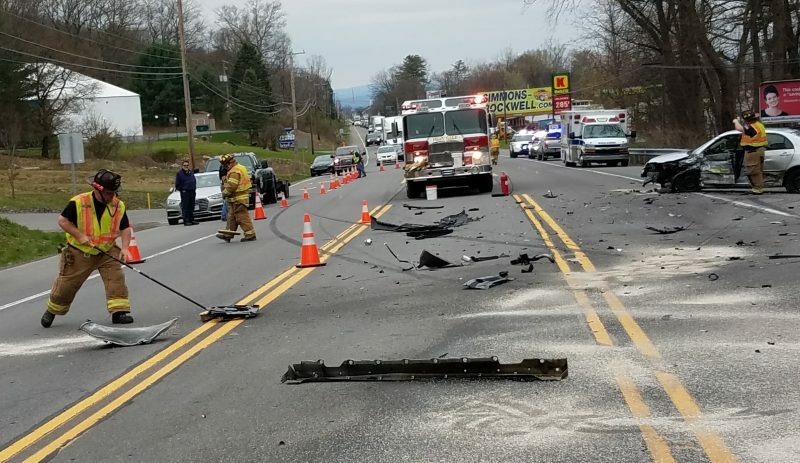 5:06 p.m., reckless/intoxicated driver, 400 block of Washington Boulevard, Williamsport. 6:22 p.m., theft, 1300 block of Washington Boulevard, Loyalsock Township. 6:54 p.m., disturbance, 1100 block of West Central Avenue, South Williamsport. 8:27 p.m., criminal mischief, 2500 block of Grand Street, Williamsport. 8:38 p.m., harassment by communications, 600 block of Washington Boulevard, Williamsport. 9:27 p.m., disturbance, corner of Pine and West Church streets, Williamsport. 9:32 p.m., hit and run, 12100 block of Route 14, McIntyre Township. 9:55 p.m., robbery, corner of Maynard and West Fourth streets, Williamsport. 11:03 p.m., reckless/intoxicated driver, 1300 block of East Third Street, Loyalsock Township. 11:31 p.m., harassment by communications, 2200 block of Lycoming Creek Road, Old Lycoming Township. 11:35 p.m., trespasser, 1200 block of Franklin Street, Williamsport.